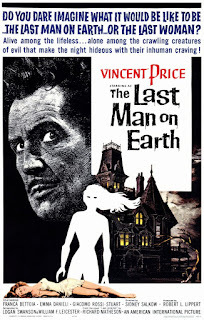 After an unstoppable plague turns everyone else into vampires, Robert Morgan (Vincent Price) finds himself THE LAST MAN ON EARTH. 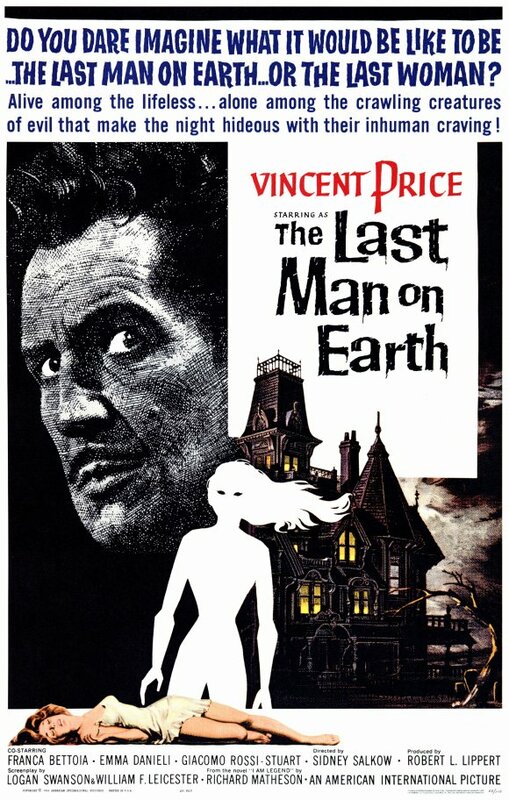 Adapted from Richard Matheson's novel 'I Am Legend' with the (uncredited) participation of the author himself, this film version follows the source material pretty closely, and yet the author still found himself dissatisfied with the results enough to ask that he be credited under a pseudonym. If only Matheson had been able to see ahead to future film adaptations (1971's THE OMEGA MAN and 2007's I AM LEGEND) he might have been more forgiving. While THE LAST MAN ON EARTH is by no means a perfect film, it is a pretty solid 'B' sci-fi/horror flick. Price, who has a not undeserved reputation for hammy performances, here carries almost the entire film on his shoulders with not a whiff of pork to be sniffed. Scenes of the vampires assaulting his home at night bear more than a passing resemblance to the zombie assault on the farmhouse in George A. Romero's NIGHT OF THE LIVING DEAD a few years later, and the film's ironic downbeat ending is very much ahead of its time. About the only thing hampering the film's effectiveness are some clumsily staged action scenes, and the general sense that the vampires aren't really much of a threat. Some seemingly minor changes to the story's climax also serve to undermine the themes in Matheson's novel. Still, this is a surprisingly grim and serious film for its time that, despite a low budget, manages to hit its mark more often than not. 3 out of 4 stars.